because that would require almost all of them to be neutral cards. Look at patches. 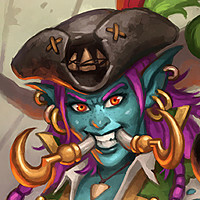 how many aggro decks are playing 2 pirates + patches right now? basically all of them. 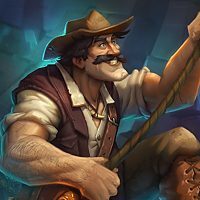 now imagine that there are more supporting neutral pirates. 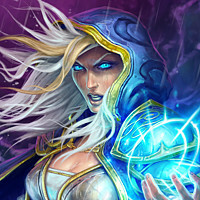 mages with frostbolts and fireballs all of a sudden have an aggro package they can play. Dragon lore is found in every civilization since the beginning or time, shouldn't this dictate every class receiving sick drags? 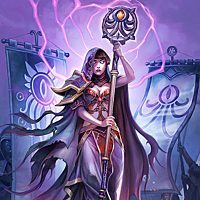 I have a Dragon Mage deck I play and win with all the time. Also a Pirate Rogue and a Mech Warrior that's o.k. 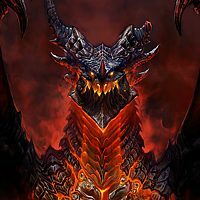 It honestly just feels like there are so many dragons in the WoW universe that would fit perfectly into "non-dragon" classes. 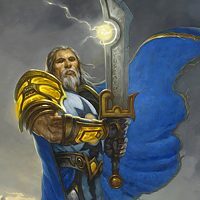 It is a bit of a shame that priest, and paladin, which do not have a dragonflight that associated with them, are taking the bulk of the dragon cards. Meanwhile, Mage, Druid, Shaman, and to a lesser extent warlock (with the Fel, and netherwing dragonflights.) which all do have an associated dragon, get the shaft. It looks like priests get twilight, warrior gets red (which would fit better with priest/paladin themes) and paladin gets bronze. None of these themes work as well as malygos/spell blue dragons w/ mage, or nature guardian green dragons w/ druid. And that's with the slew of neutrals we have left over from other expansions as well. There's going to be a lot of them disappearing from Standard when the rotation hits next year, so I'd imagine we may see a more robust addition then. Until that point, probably just spot support here and there for that tribe. I like this idea. it's very WoW Cata. On the negative side - it's super fun when multiple classes are playing Pirates and a ton of games seem vitlrtually identical, let's have more of that kind of thing. 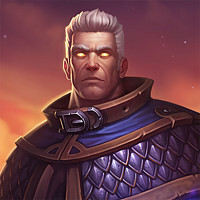 Do Paladins even have a single dragon card at the moment? Its... O.K. Sort of a 3 mana 4/5 with stats distributed poorly. Certainly not a card so ridiculously OP that it can support a tier 3 deck* (Check VS) 3 expansions later with only 1 card. I have a dragon deck for each class. All very fun to play. 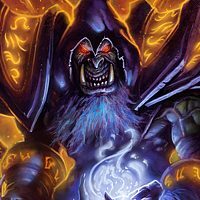 @MyDragon, it wouldn't be hard in the slightest to make Dragon cards for other classes. Shaman, Unlock your overloaded mana crystals. Druid, Ultimate Infestation. Mage, Discover a spell. All those cards of course have already been printed, but they weren't Dragons. 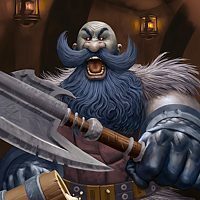 To go a bit furthur with this line of thinking, I am often stuck with quests like Murlocs or pirates and because I do not have cards for say, warrior and shaman I am forced to play pretty wanky decks that take forever to manage quest completion. 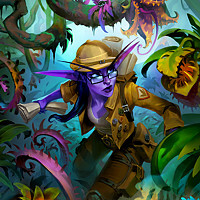 To me, this game would be alot more fun if every class were able to build theme decks around neutral characters like Dragons, murlocs, pirates, etc. Of course One class would naturally be better at running these than others but that seems fine. 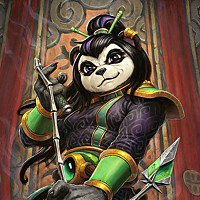 I just wish this were a viable choice for every class. For instance, as it stands a Dragon mage is crappy. 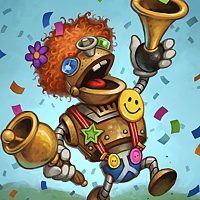 Some players run it for laughs, but almost no one does in standard because it's weak. And it's pretty much impossible to run say a pirate or murloc priest. 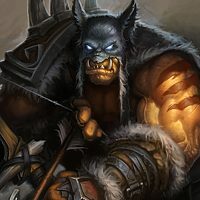 I would love to see this game become more encouraging of decks that break the stale archetypes and allow for players to play what they like with a reasonable chance as opposed to always being forced to play the one preferred class in order to use a theme deck. There used to be a pretty effective Dragon Paladin deck when Dragon Consort, Twilight Guardian, Blackwing Corruptor, and Blackwing Technician were still in Standard. I think what you meant, is dragons are for priest, and warrior + paladin is just there to say you did.